Happy New Year everyone! I have to admit that this blog has been neglected for a long period of time. 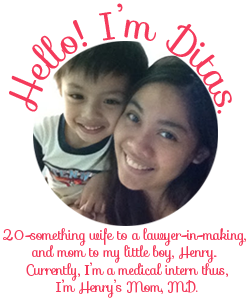 I started this blog a long time ago when I was still a wee medical student and I wanted to document my life as I struggled between med school and motherhood. Looking at my sidebar profile, I realized that a lot has changed since then. For starters, I am not a twenty-something anymore. I now belong to the Thirtysomething Gang (Gilmore girl reference). Aside from my age, I hope that those added years gave me more wisdom. I’m proud to say that the lawyer-in-making has finally achieved his ultimate goal last year. The results of the bar exam came out on the 2nd quarter of last year and he passed it on his first take. And my little boy, well, he’s not so little anymore. He grew an average of 1/2 an inch per month in 2017. He’s turning 10 years old this month and almost a tween. From making homemade playdoh, he now loves playing Roblox on his laptop. But, he’s still as sweet and ever. As for me, I am now licensed to heal. I passed the medical boards 3 years ago. It seems like only yesterday when I was picking out my clothes for my first day of internship. After the boards, I went straight into residency. This is why I haven't been updating the blog. I am now training to be an OB-GYN. I still have years left before I am done with it but I know that with the grace of God, he will allow me to finish this and guide me on this new journey. 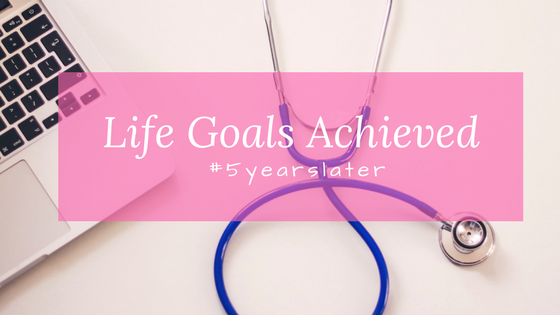 How has your life changed from 5 years ago? I would love to hear about your story in the comments section. Hayy Michi! I tried so hard. Mahirap malaga. Hopefully i get to maintain it this year.